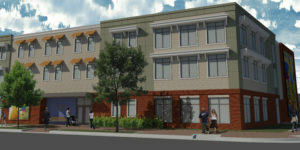 ForKids of Virginia is expected to break ground on its new $13+ million headquarters, the Center for Children and Families, on the site of the former library building on Poindexter Street in downtown South Norfolk in late March. Founded 30 years ago with a mission to break the cycle of homelessness and poverty for families and children, ForKids has evolved into one of Virginia’s largest service providers to homeless families. Read more about ForKids on their website at https://forkidsva.org. 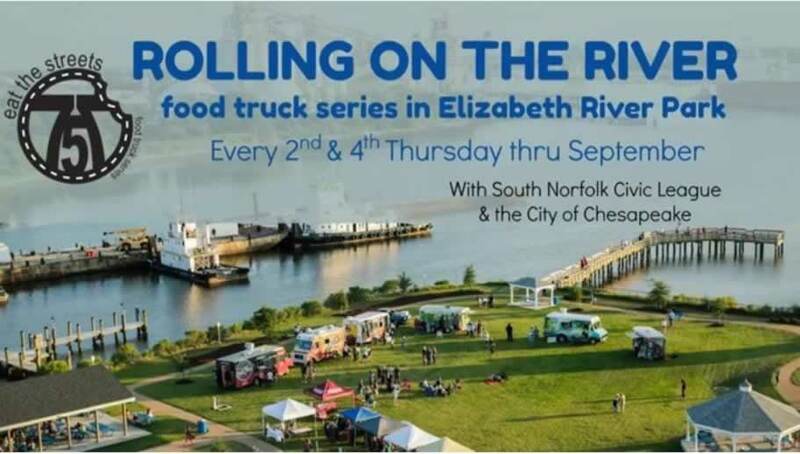 Food Trucks start rolling at Elizabeth River Park April 9, the second Thursday in April, and the “Rollin’ on the River” food truck events will continue every second and fourth Thursday, from 5 p.m. to sunset, through September 2019. Music and activities for everyone. Proceeds benefit programs from the South Norfolk Civic League. This tv news broadcast aired after the 22nd Street Bridge was closed to the public. South Norfolk has been struggling with getting around trains ever since. The city may come to the rescue with some maps we can share that will help drivers get around. Stay tuned on this, too. These are a few of the projects listed in the report. CLICK HERE for the full document. 22nd Steet Bridge Project: Work on the 22nd Street Bridge is supposed to begin this month. The city began mobilization recently, installing a construction trailer on the site on Dec. 18. Demolition of old 22nd bridge should be completed soon. Partridge/Quail Area: Project has been under construction since July 2018 with utility work. At this time, the drainage improvements are scheduled to be complete in the spring of 2019 with project completion scheduled for the summer of 2019. Elizabeth River Park Sidewalk Access: Preliminary design is underway. Portlock Area Utility / Stormwater Project: Scheduled to be completed in the spring of 2019. Chesapeake Avenue Area Drainage Improvements: Design for utility and drainage improvements began in August 2018. Poindexter Sidewalk over I-664 (sic; should be I-464) to Elizabeth River Park: Project Scoping is underway. Meetings – You’re invited to attend! Local civic leaders remind us that citizen involvement is the key to solving most of the issues in our area. They advise everyone to find an interest, get involved, and try to give more to your community. South Norfolk Civic League: The SNCL meets on the 2nd Monday of each month, 7 p.m., at the South Norfolk Community Center, 1217 Godwin Ave., in Portlock. Visit the SNCL website at https://southnorfolkcivicleague.org. South Norfolk Neighborhood Watch: The SNNW meetings will resume Feb. 18 at 6:30 p.m. They meet on the third Monday of the month at the South Norfolk Memorial Library Community Meeting Room, 801 Poindexter St., in the Gateway Building. Visit the SNNW website at https://sonowatch.org. City Commission: meets 2nd, 3rd, 4th Tuesdays at 6:30 p.m. Meetings are held in the Council Chamber, located on the first floor of City Hall, 306 Cedar Rd, Chesapeake. To learn more about the city council, CLICK HERE. For a complete list of South Norfolk meetings, visit the SNCL website at https://southnorfolkcivicleague.org. 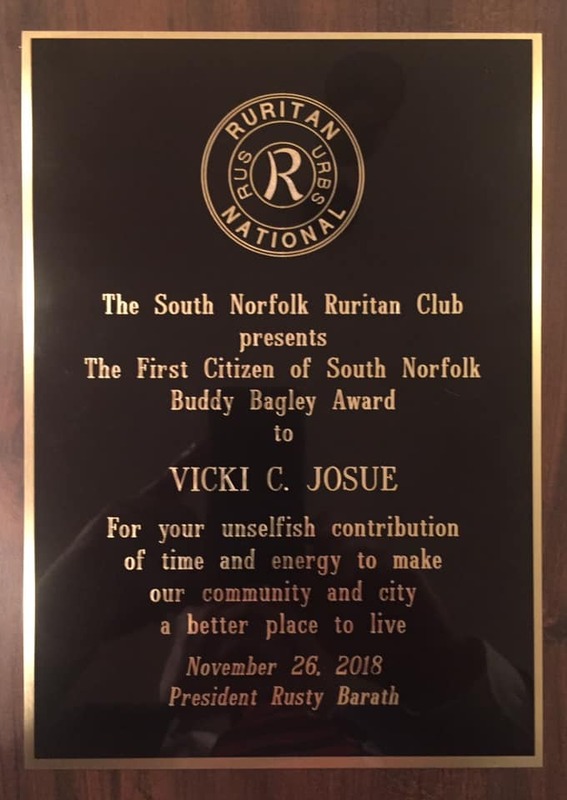 South Norfolk Ruritans: Vicki Josue was recognized with the Buddy Bagley Award for First Citizen of South Norfolk by the South Norfolk Ruritans for her unselfish contributions of time and energy for the betterment of her community, South Norfolk. Congratulations! 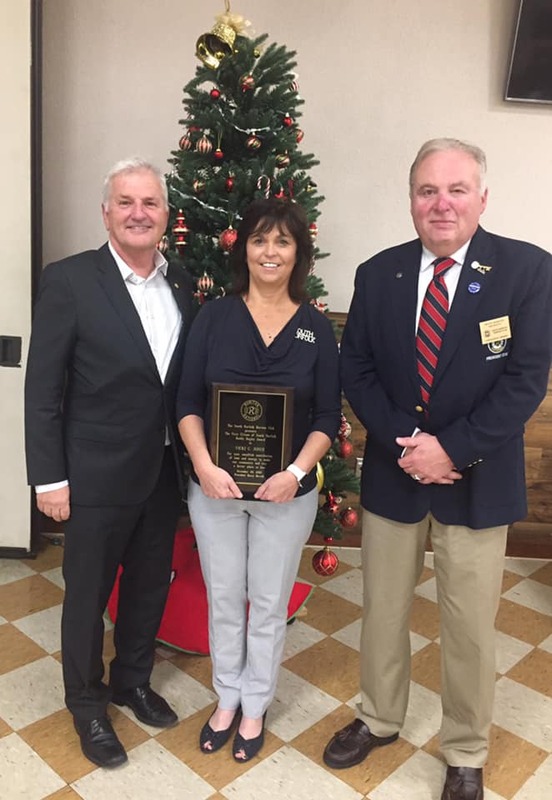 South Norfolk Civic League: Congratulations, too, to Tim Buma, who was elected president of the South Norfolk Civic League in November. Visit the SNCL’s web site for a complete list of current officers. 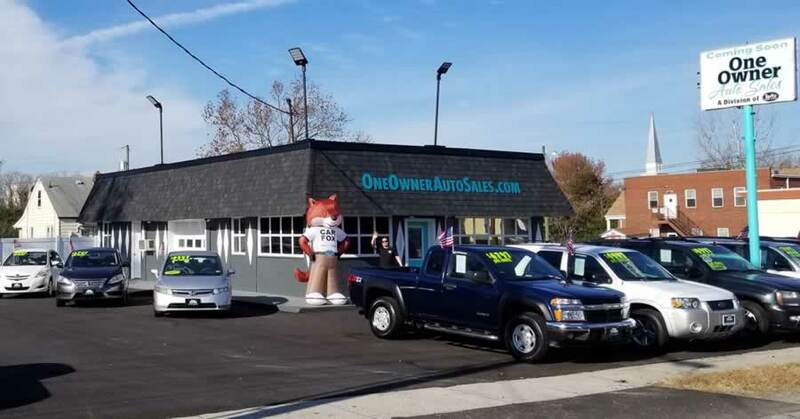 One Owner Auto Sales: Jason Ewell, with Sono Auto Sales on Poindexter, has opened another auto store on Bainbridge, One Owner Auto. If you are in the market for a good used car, either of the two stores can steer you (see what we did there?) in the right direction. 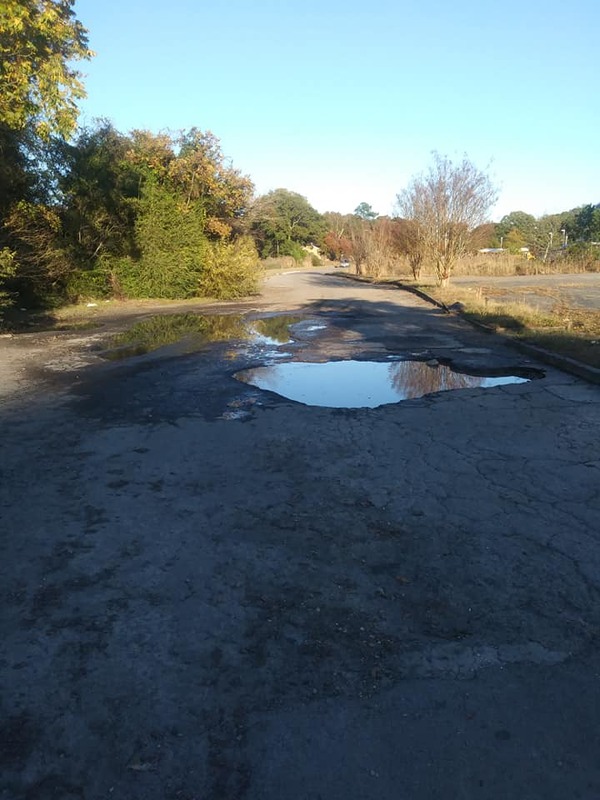 Southgate Plaza Potholes: We understand that the owner of the Southgate Plaza has been served with papers regarding the remedy of potholes on that property. We must ask you to stay tuned on this one, because news is still unfolding. If you must drive there, please use extreme caution. 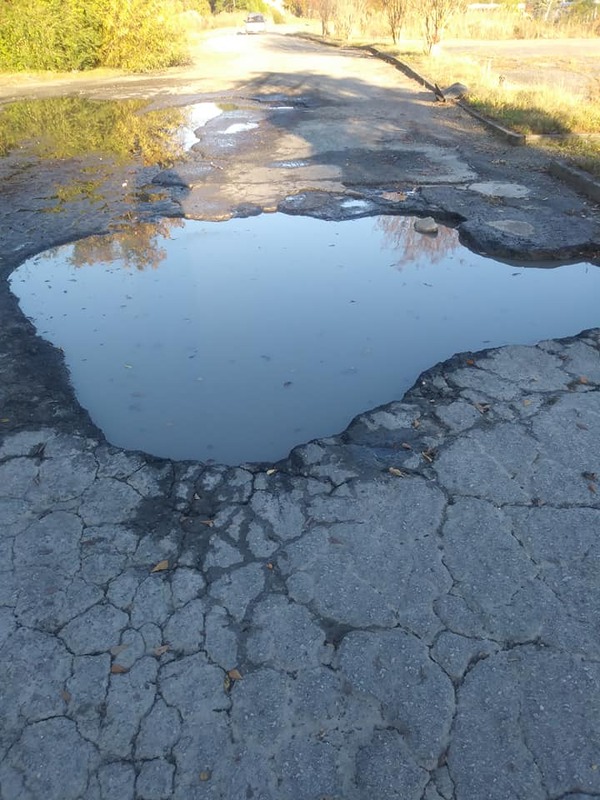 Other Potholes: Folks are reporting bad potholes everywhere, but especially Park, Seaboard and Edgewood Avenues. Please drive carefully. City will address all of the roads as time, weather and money permit. Soon, South Norfolk will be crawling with construction workers. We’ve said it before: smart entrepreneurs will position themselves to serve those workers, offering food and services they may need while they are here. The folks at the new Pondexter (sic) Grill are on it. 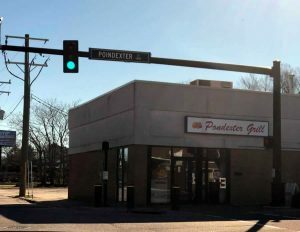 There, at the corner of Poindexter Street and Liberty, they are perfectly situated to serve take-out. We haven’t eaten there yet, but if their foods are enjoyed by construction workers, they are sure to succeed in that spot! All the workers can walk that far! And who knows? Maybe their name is Pondexter and that isn’t a typo. The Island Jerk Hut, the Jamaican eatery on B Street, is reorganizing into a catering company. Many were sad to hear the storefront is closed for individual take out. Maybe The Island Jerk Hut will reconsider that decision in light of the traffic that is bound to increase there when construction starts booming in the spring. Let’s hope so! UPDATE: The Island Jerk Hut has announced that it will be reopening for jerk takeout for individual purchases on Jan. 8, 2019. Who says wishes don’t come true? Dewald’s Diner: 3199 Bainbridge Blvd., celebrated their third anniversary on Dec. 26. So dedicated to South Norfolk, they apologized for closing briefly for the holidays. They were open on New Year’s Day though, serving up black-eyed peas and cornbread to hungry neighbors throughout the day. Stop by sometime. Grab a bite and say hello. 351-1356. What’s-It-Gonna-Be? 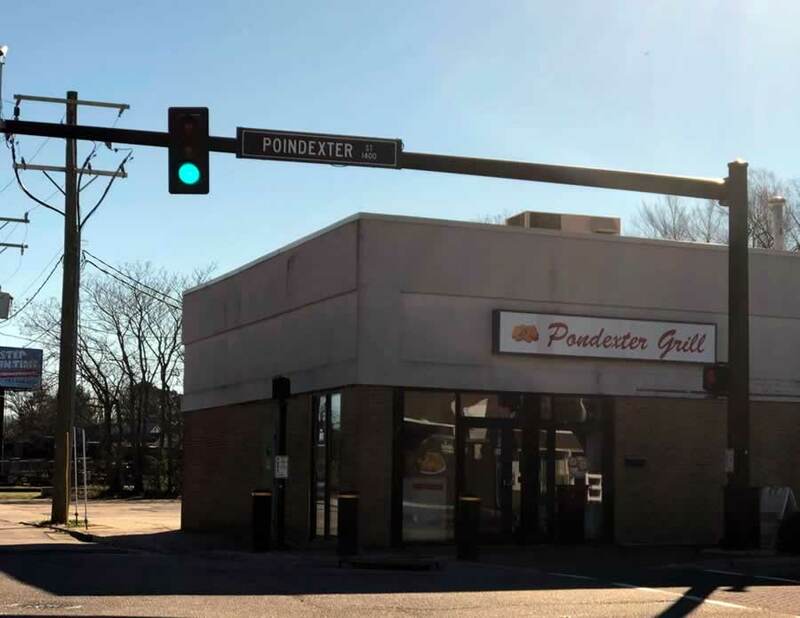 We have heard a little about another possible food spot opening up on Poindexter, but that is all we can say about that right now. Getting around the trains: It’s been a challenge getting through South Norfolk since the city unexpectedly closed the 22nd Street Bridge. Councilwoman Debbie Ritter said she would ask the city to create maps to help people get around the trains, and when they do, you can bet we will share them here. South Norfolk Businesses: Are you ready? The areas of Liberty at Poindexter and Liberty at 2nd Street are likely to see a lot of foot traffic in the mornings, afternoons and after the whistle blows at quitting time. 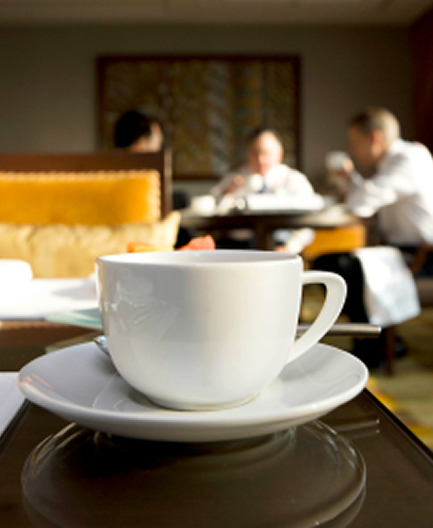 People will be hungry, needing stuff to start, continue and finish their workdays. We hope our South Norfolk vendors — old and new — are ready for the influx of business. Happy New Year, South Norfolk! It’s going to be a great one for commerce! Please tell your friends about the South Norfolk Business Directory. Listings are free, and it’s run by locals — JUST to help businesses in South Norfolk and nearby areas that serve South Norfolk residents. Remember to “Shop South Norfolk” when you can. The South Norfolk BizBlog is written by Suzy Loonam, a media/marketing professional and15-year resident of Historic South Norfolk. Suzy and her husband, Dan, have been publishing HistoricSouthNorfolk.com since 2006, and the SouthNorfolkBusinessDirectory.com (SNorfolk.com for short) since 2014. If you enjoyed this post, please CLICK HERE to sign up for The South Norfolk BizBlog, by Suzy Loonam. Thanks! Don’t miss the Feb. 2019 BizBlog!.